Awesome, after a bit of DSL trouble the other day I'm back online and posting on the ol' blog again! 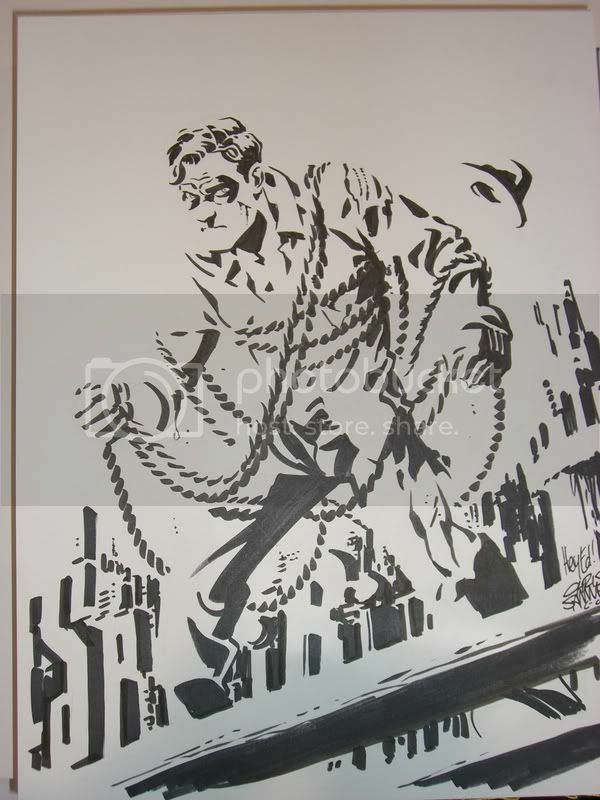 So without further ado, here's a sketch of Will Eisner's Spirit. Check back tomorrow for post #200! Great job working the Spirit letters into the background. It's the extra touches that really make your sketches stand out! Chris you always do a great job with sketches. i adore this one! i'm going to try to get one from you at MoKan. It's the ropes that make it come alive. . . you get a C-.